Dada Boudir Tour and Travels(Regd)TM is the best tour operator in Haridwar where we aim to provide the best services and the complete satisfaction to our tourists. Being the most reliable Chardham Travel agent in Haridwar, Uttarakhand we provide Best Chardham Package from Haridwar or if you are looking for a budget package in Chardham tourism then you can also try the Ek Dham Tour Package, Do Dham Tour Package, Teen Dham Tour Package. We are backed by a team of well-experienced, courteous professionals who easily comprehend every aspect of the travel requirement. 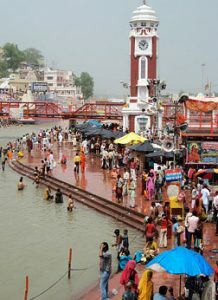 Dada Boudir Tour and Travels (REGD,) in Haridwar is considered as a most popular Chardham Tour Operator in Haridwar. Being an eminent tour operator in Uttarakhand we arrange most economical and affordable Chardham yatra package for all range of visitor wish to visit Kedarnath, Badrinath, Yamunotri and Gangotri. Apart from these specially developed tours, we also arrange bus, car and tempo rentals in Rishikesh. We being a customer-oriented organization, always try to arrange the trip of our clients in the most resourceful manner, ensuring a pleasant and memorable travel experience. Furthermore, our dedication to work, unswerving quality and customer satisfaction have won us many accolades from clients spread worldwide.